Elephants and their mahouts roaming the busy traffic congested streets of Bangkok could soon be a thing of the past, thanks to a tougher law to keep the animals off city streets. 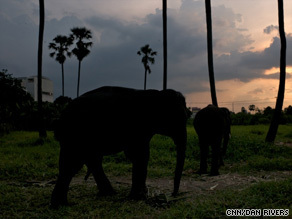 Bangkok authorities plan to offer financial incentives for elephant owners and impose tougher fines. Working in collaboration with a foundation under Her Majesty the Queen’s patronage, elephant owners could receive more than US$20,000 for their elephants, which will then be released back into the wild. The fine for bringing wild elephants into the city will increase from a few dollars to a few thousand.